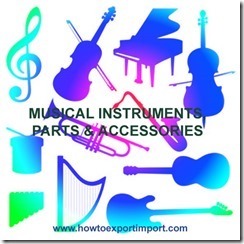 Export and import ofMusical Instruments, Parts and Accessories. In this article, the Harmonized System codes (Harmonized Tariff System- HTS) for Musical Instruments, Parts and Accessories are mentioned which help you in exporting and importing of Musical Instruments, Parts and Accessories. These codes help exporters and importer all over world to know product classification code named differently in each country like Schedule B, ITC, HS, HTS, Tariff Code etc. In this post, I have mentioned HS codes which help exporters and importers of Musical Instruments, Parts and Accessories. These HS codes helps exporters and importers of Musical Instruments, Parts and Accessories to identify their product to use in customs department and other government and non government agencies to import or export of Musical Instruments, Parts and Accessories. I hope the information in this post supports exporters and importers of Musical Instruments, Parts and Accessories. 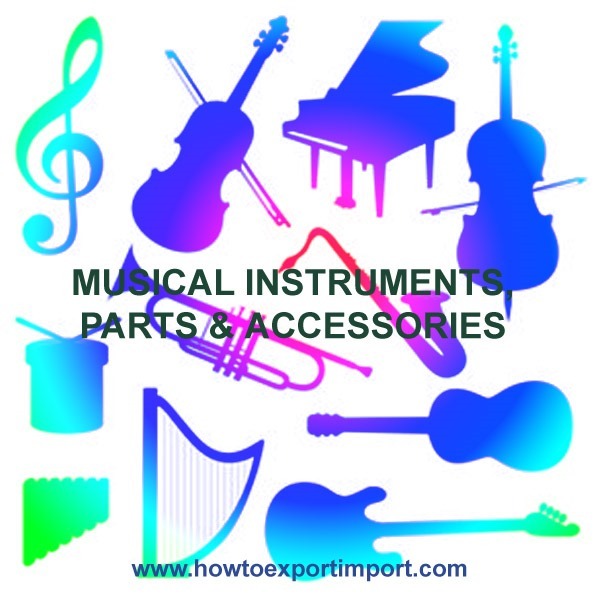 The buyers of Musical Instruments, Parts and Accessories and sellers of Musical Instruments, Parts and Accessories in import export trade may use the HS codes mentioned in this post. The suppliers of Musical Instruments, Parts and Accessories and buyers of Musical Instruments, Parts and Accessories in international trade may please be noted, an addition of two or four digits might be added to these HS codes by government of respective country. So the exporters or importers of Musical Instruments, Parts and Accessories may follow such addition if any after verifying with rules and regulations of respective country. I will be writing about how to export Musical Instruments, Parts and Accessories and how to import Musical Instruments, Parts and Accessories shortly. The buyers of Musical Instruments, Parts and Accessories and sellers of Musical Instruments, Parts and Accessories in export import trade may also be noted, the classification of products is named differently in each country by adding two or four digits along with HS codes. For examples, in US (United States), the classification is called ‘Schedule B’ where as in India ‘ITC number (Indian Tariff Code number). sudip roy: On 27 July 2014 i am exporting the all violin parts all over country. elahi : On 10 August 2016 We feel pleasure to introduce ourselves as a major manufacturers and exporters of Surgical, & Jewellery Making instruments & of all Kinds at Sialkot we can easily meet your kind requirements at very lowest prices. Please let us know your kind & earnest requirements enable us to send you required samples, Company PDF catalogues & rock-bottom required prices against high quality.